The Joaquin Neighborhood Master Plan was recently presented to the Council in preparation for final approval at the Council’s Meeting to be held July 15, 2014. Provo City’s Vision 2030, a process for defining a future vision for the Provo community, provides the goal for each Provo neighborhood to have its own master plan. The Joaquin Neighborhood Master Plan is the first to complete this process. Identify exceptional areas that would benefit from area specific master plans, where the city would conduct a detailed land-use analysis. The objective is for a plan for every neighborhood. Provo City Community Development Assistant Director Bill Peperone presented the plan to Council, and described it in further detail. 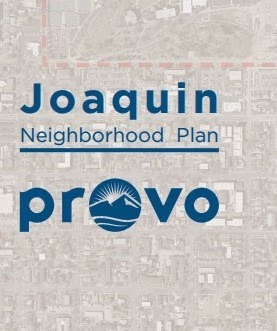 This neighborhood plan also provides details for the development of the Joaquin Neighborhood beyond what is included in Provo City’s General Plan. If the Council approves the plan, it will be added to the General Plan as Appendix H.
The plan has been reviewed by the Provo City Planning Commission in two hearings, as well as presented in a public neighborhood meeting at the Provo City Library in May. A draft version of the plan has also been available on the Provo City Redevelopment Agency’s website on Provo.org for public input and comment for nearly a year. Peperone said the latest draft of the plan reflects input gained from those public meetings, and from public comment given in this period. Peperone said the comments had been overwhelmingly positive. The Council heard comment on the plan from neighborhood chair Leo Lines, who focused his remarks on how he hoped the plan would help improve neighborhood safety and ease traffic flow and mitigate traffic speed concerns. If you’d like to watch the presentation, you may do so on Provo’s Channel 17 here. What are your thoughts about the Joaquin Neighborhood Master Plan? 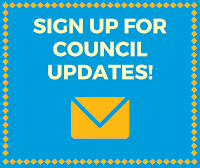 If you’d like to comment, you may contact Council Members directly here, or attend the presentation of this item at the Council’s Meeting on July 15, 2014.